The Guizhou government, China Youth Entrepreneurs Association, and Junior Chamber International Japan (JCI) held an economic and trade exchange activity on April 9 in Guian New Area, Southwest China's Guizhou province. 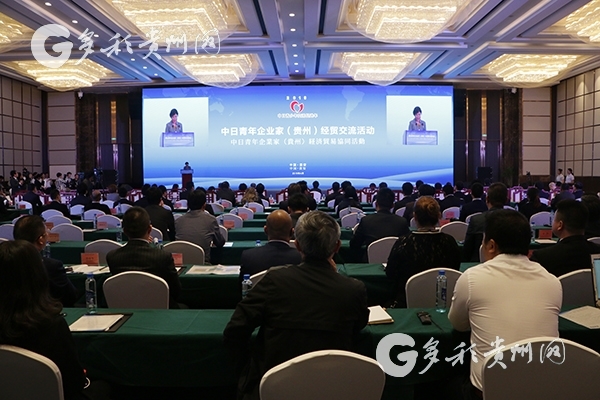 About 160 young entrepreneurs from China and Japan attended the event to seek out cooperation opportunities. As one of the provinces in China with the fastest rate of economic development, Guizhou has numerous opportunities for investment and development. It also boasts great success in its poverty alleviation efforts, improved traffic infrastructure and a beautiful natural ecological environment. To date, Japan has become Guizhou's ninth largest trade partner. The total export-import volume between Japan and Guizhou reached $249 million in 2018. More than 40 Japanese companies invest in Guizhou and inject strong vitality into the economic development. The exchange activity is expected to showcase the business environment in Guizhou and attract more companies from China and Japan to invest, said Lu Yongzheng, vice governor of Guizhou province. According to Kamada Takeaki, president of JCI, the infrastructure in Guizhou has seen great improvement, and he believes that Guizhou will become an area with active and prosperous economic development. Guian New Area has planned a 1,700 mu (113 hectares) industrial park to support the smart manufacturing, modern service, pharmaceutical, digital economy, high-end display screens, new energy materials, and integrated circuit industries for Japanese companies. The industrial park is also equipped with tourism, cultural, transportation, financial, medical, and talent resources. With four expressways to Guiyang, the city enjoys beneficial transportation and location resources. People can fly to Tokyo and Osaka in Japan in less than seven hours, as well as to major Chinese cities like Beijing, Shanghai, and Guangzhou in less than three hours.